Are you looking to cruise the city of Cape Town on a bicycle during your summer visit to the city? 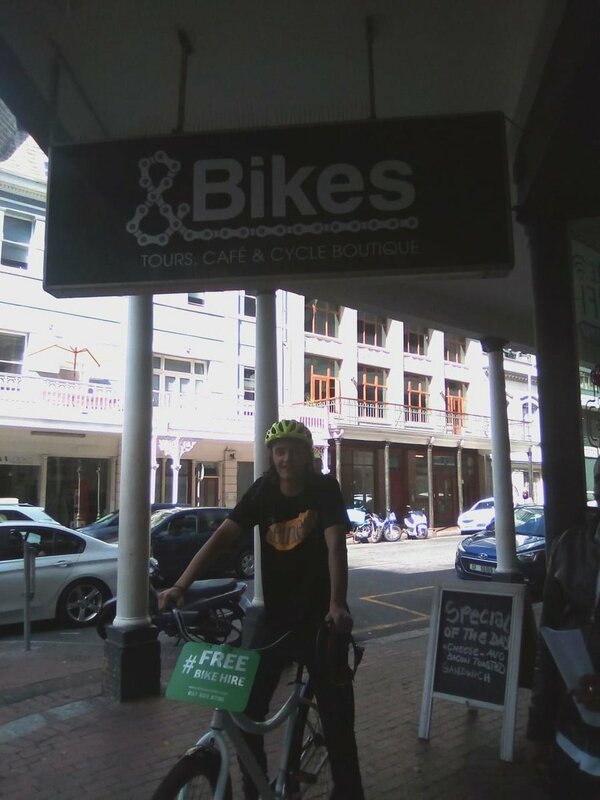 Bikes ‘n Wines just launched FREE bike rentals for all their city cruiser bikes from their &Bikes Cafe location in the heart of Cape Town. 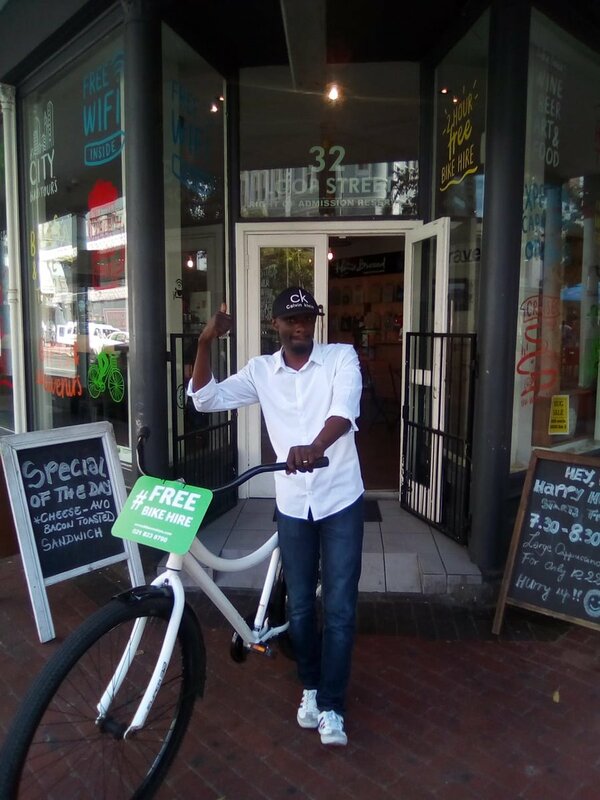 All you have to do is pop in to the &Bikes Cafe at 32 Loop street, Cape Town and rent one of their cruiser bikes for free for two hours. If you want to keep it for longer, no problem, just pay R150 for half the day or R250 for a full days bike rental. First of all, can you tell me a brief history about how Baseline Coffee came about? ‘Baseline Coffee was founded in 2008, but under a different name, Kupa Coffee. Kupa is a Swahili word meaning “to give”, and our brand was developed to not only make coffee, but also to give back to the community and support great local initiatives. Unfortunately, we found out there was another international brand with the same name, so rebranded as Baseline Coffee in 2013.’ We love that you try and give back, what are the initiatives that you support? “At the moment we donate to the Common Good Foundation, a Non Profit Organisation serving the greater City of Cape Town. We are also in talks with various other foundations as we continue to look at how we can give back to our immediate & wider community.” Where is Baseline based? ‘In the beginning of this year, we moved our coffee roastery from Paardeneiland to Woodstock, and opened an espresso bar. We roast our signature brands here and experiment with new flavours that we try out on the public, but our main focus still lies on the wholesale of our coffee and supplying local businesses like you guys. Inspired by this great coffee story? Try out Baseline Coffee at &Bikes Café and Cycle Boutique and tell us what you think. The 2014 unfiltered Sav Blanc is a very young vintage, the colour is slightly green because of this and it has a slightly high acidity. This vintage is paired with a salty Dolmada that has been soaked in the “fart salt”. This sulphuric volcanic salt from Pakistan has the characterististic sulphuric smell of egg that I don’t think is that bad but apparently I am in the minority with this. The salt is very pungent when tasted but our taster assured us that on popcorn it is delicious. The briney taste of the dolmads works very well to reduce the acidity in the young vintage and when the acidity is reduced the fruitiness of the wine is brought out which for me softened the first taste. My fellow Bikies ‘n Wines colleagues tasted some asparagus notes as well, but I got stuck on the fruity side of things. The Chardonnay is wooded for 8 months in new French oak barrels, the colour is a lot lighter than the sauvingnon blanc with a much more robust buttery feel to it. Our pairing was with a green olive tapendade made with almond paste (I kept calling it pesto as it seemed like a mix between tampenade and pesto – I’m not a foodie so don’t sue me). The black salt used in this is very interesting to look at and taste as we are so not used to seeing black salt, this extreme colour is caused by the last process of the salt production where it is infused in activated coconut shell charcoal which gives it a more intense flavour. The almonds in the tampenade bring out the wooded quality in the wine and the olives (technically a fruit) highlites certain citrus notes come to the surface at the same time. I couldn’t get enough of this pairing and had to restrain myself so that I could mix and match the wines after the tastings. The Cabernet sauvignon is a heavier more substantial wine that is matured in French oak barrels for 16 months, you would expect to have this with a large steak, but Bergkelder has chosen to pair it with a Sundried Tomato and Mature gouda combination that is seasoned with the Red Alea Salt. The sweetness of the tomato is not something that I would readily pair with a red wine but with the sharpness of the gouda bringing down the tannins, the fruity tomato seem so accentuate the plumy flavours that are hiding really well in the wine. Fluer de Cap’s late harvest is a noble late harvest, this means that the vineyards have been infected with the botrytis mould, this sounds pretty bad but a wine cannot be called a “noble” harvest if this infection hasn’t happened. The mould leaches most of the water out of the wine leaving the sugar and fruit acid and minerals in a higher concentrate than usual. The noble late harvest from fluer de cap has 186g of sugar in it per litre, this is SUPER sweet, but isn’t as syrupy as you would expect (a dry wine generally has under 5 grams of sugar in it). The first thing you are supposed to know when pairing a dessert wine is that the wine should always be as sweet or sweeter than the dessert in question. The pairing of this decadent sweetness is complimented very well with the bergkelder salted fudge infused with West Coast Khoisan salt flakes. The salt acts as a great way to bring down the sweetness so you can taste the peache and honey flavours hidden in the wine. This is the perfect way to end off a great dinner or just a simple tasting and I may have had to ask for another piece of fudge or two because it is just so more-ish. The overall experience is a decadent one that leaves you ready to sink into a puffy armchair and smile wistfully out the window for the rest of the day. https://www.bikesnwines.com/wp-content/uploads/2015/10/Salt-Wine.png 1500 1500 Quintin Smith https://www.bikesnwines.com/wp-content/uploads/2018/12/Webiste-header-logo.png Quintin Smith2015-10-09 00:00:002018-10-09 13:39:01Salt and Wine Pairing at the "Cellar in the Mountain"
Wine loving South African’s covet their Pinotage as much as the French cover their Cognac and Champagne. We love it so much in fact, that it has become the 2nd most planted grape varietal in South Africa. Although we have not gone as far as prohibiting the name if the wine is made in another country (I do think this has been requested though). The whole story goes back almost 100 years to 1925 when Abraham Izak Perold crossed the Pinot Noir, the prince of Red grape varietals in France, and the local hermitage grape (also known as Cinsaut). Hermitage has never been characterised as a good grape varietal but it seemed to love the Cape climate and did very well under her harsh conditions. The hypothesis behind this was more than likely to get the taste and characteristics from the Pinot and the hardiness and survival capability of the Hermitage. Perold cross produced only 4 seeds and instead of growing them on University land, kept them under close watch at his own home on Welgevallen farm. This move almost lead to the annihilation of the young varietal when Perold left Stellenbosch to work in Paarl and left the garden unattended for almost 2 years. When the university came in to clean up the now overgrown gardens, it was only by chance that a young lecturer cycled past the clean-up crew and remembered the seedlings. They were taken back and kept under the watchful eyes of Professor Theron at a nearby Agricultural College. After some cultivation at the College, an excited Prof Theron showed his work to Perold and after much study of the plants, one varietal was chosen to become the “mother “of Pinotage and the vines were planted. By this time, 16 years had passed from the first seedlings to a vineyard capable of producing wine grapes. So when it came down to deciding who should make this historic batch as both Theron and Perold were not wine-makers, they turned to a colleague Mr CT De Waal, who became the first wine maker to produce a Pinotage wine. The result of the vineyard created very dark grapes that were bold and high in tannins, this tempted farmers to stretch out the wine as much as they could (which was quite a bit due to the darker colour) and the Pinotage name became a little soured as the wine produced were of lower standard. This luckily enough has changed and in the last 30-40 years the art of Pinotage has created some of the best drinking wines around. The first commercial vines were planted 2 years later and although these are not still around, we have tracked down the oldest Pinotage vineyards in the country (it wasn’t that hard, we just went straight to the source). The 65 year old vineyards planted on CT De Waal’s family farm in a spot called “Top of the Hill” are the oldest, and they still produce wine, De Waal Wines creates a single vineyard vintage each year. https://www.bikesnwines.com/wp-content/uploads/2015/10/Winter-in-Stellenbosch.jpg 705 705 Quintin Smith https://www.bikesnwines.com/wp-content/uploads/2018/12/Webiste-header-logo.png Quintin Smith2015-10-08 00:00:002017-10-03 09:41:11Pinotage, a history. Are you looking for a fun day full of activity in the Winelands for the whole family? Why don’t you join us for a Family Ride? Here are 10 reasons why a Bikes ‘n Wines Family Ride is a must-do when visiting the Winelands! 1. The whole family can join Grandpa, grandma, mom, dad, uncles, aunties, kids and grandkids. Everyone can cycle with Bikes ‘n Wines. Over the years, we have welcomed guests from 18 months to 85 years old. The little ones can sit in specially designed carriages behind the bikes and the older kids get their own kiddie bikes and helmets – so there is no reason not to take your whole family on tour. 2. The kids are always looked after Our guides are amazing with children and will look after them every step of the way. They play with them on the lawns of the wine farms, show them the great flora and fauna and educate them about mother nature and her inhabitants! 3. The parents enjoy wine tastings Cycling with Bikes ‘n Wines is about the activity, but also about the wine! 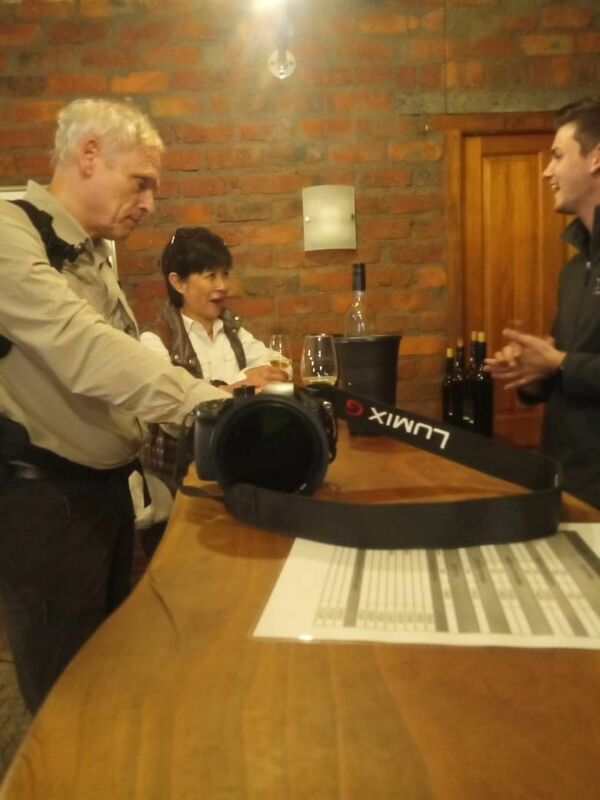 Whilst the parents indulge in the best wines of South Africa, the kids are safely playing outside or exploring the cellars with one of the guides. 4. The kids hunt for ‘wild’ animals Who says that there are only grapevines on a wine farm? There is so much to explore for children on a Bikes ‘n Wines tour. They will hunt for chameleons, play with the farm dogs and explore all the hidden treasures that can be found on the farm. Off course, our guides will be with them at all times! 5. It is completely safe Do you think cycling in South Africa is unsafe? Not if you go on tour with Bikes ‘n Wines. We have private access to the farm roads, which means that we do not (or barely) use the public roads. During our tours, we meander through beautiful vineyards without being bothered by motorized vehicles, a unique experience in South Africa. 6. There is no fitness level required When was the last time you cycled? Three months or twenty years ago? It does not matter, as our Family Rides cater for all ages and fitness levels. We adapt the route and length of the tour on the fitness level of the guests, so everyone can have a great time! 7. You use all your senses! Smell the grapes, taste the wine, feel the wind in your hair whilst cycling, touch the fertile soil of the Winelands and see the beautiful mountains surrounding Stellenbosch! When going a Family Tour, you will use all your senses! 8. 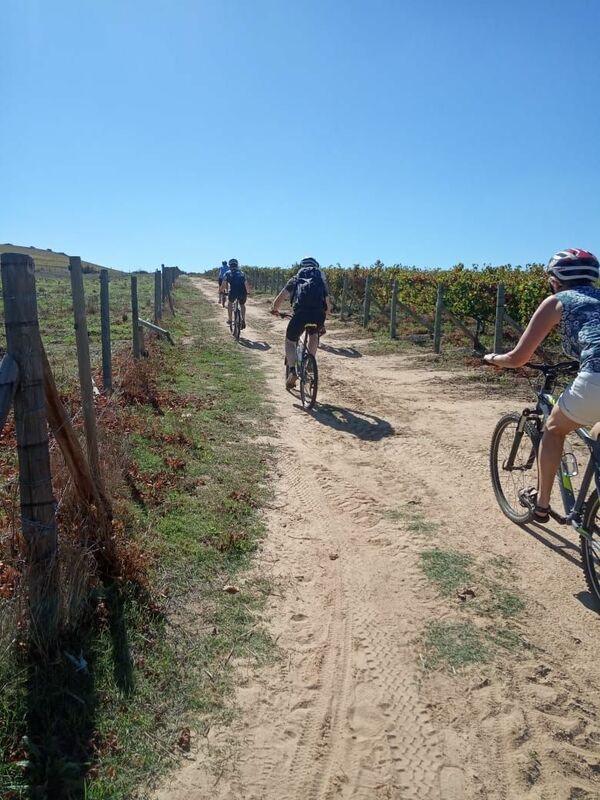 It is a great family bonding activity Bikes ‘n Wines will make sure that during a Family Ride, everyone enjoys a day out in the Winelands and gets the chance to spend some quality time together. The kids are taken care of by the guides, the parents are tasting great wines and everyone joins in for a family lunch on a picturesque wine farm! What more is there to love? 9. It is a once in a life time experience Be honest, we live a hectic life where it is difficult to make time for the family! But once in a while, it is a must to go out together and explore something new, such as cycling through the Winelands with your family! Do it once and we promise that you will come back for more! Bikes ‘n Wines is proud announce that we have received a Certificate of Excellence 2015 from Tripadvisor. We earned this certificate because we have great reviews on TripAdvisor! We would like to thank all our partners, clients and staff for their enthusiasm and effort, we truly appreciate all the feedback we get from you. Read here all the great reviews our clients wrote about our tours! Inspired? 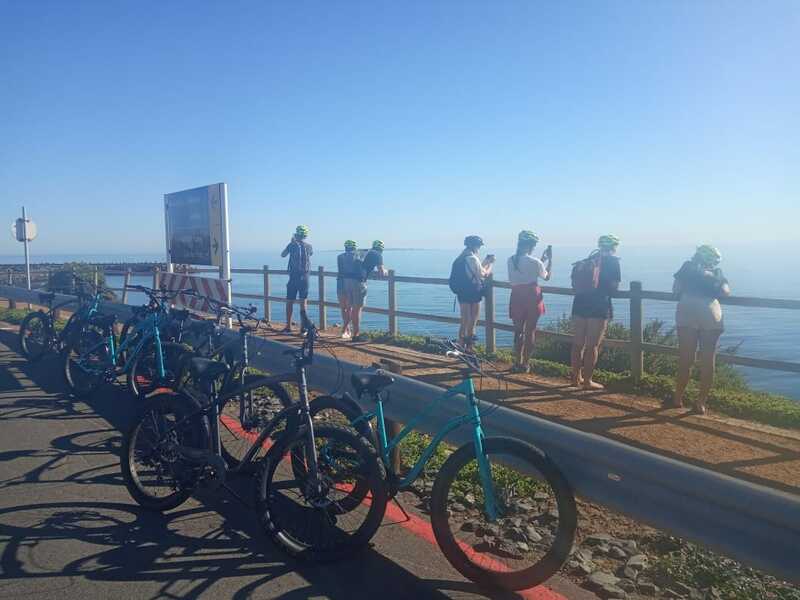 Book your tour below and enjoy an unforgettable experience in the Winelands with Bikes ‘n Wines! The temperature drops and all we want to do is snuggle on the couch with some hot chocolate and a blanket. Sounds tempting? It does for us, but there are so many great activities to do in Cape Town during the winter months. Bikes ‘n Wines is one of them! We are proud be listed on #46 in the ‘Top 100 things to do in Cape Town this Winter! Cycle with your family through the beautiful vineyards, gaze at the snowy mountains and taste wine in front of the fireplace! Or take your friends out for an adventurous ride in Stellenbosch or Franschhoek. Read the full article here, be inspired to spend some time in the ‘Mother City’ this winter and book your Bikes ‘n Wines tour now! Curious to know what you can expect on a Bikes ‘n Wines tour? This new movie will give you a great overview of what we have to offer. Experience the wine farms, see the beautiful roads we cycle through and the great food you will taste when you go on tour with us! Being involved in the wine and wine tasting industry Bikes ‘n Wines is relishing in the fact that our wine farms are slowly starting to catch on to the huge appeal of food and wine pairing tasters. The reason we pair wine with food is to enhance both the flavors of the food and of the wine itself. One should never overpower the other. The relationship should be mutually beneficial and work together to create deliciousness. A number of the wine farms that Bikes ‘n wines visits, offer a variety of decadent pairings. These pairings are all unique to the farms we visit, and all offer something different to learn and take with you to your next wine tasting/drinking experience (Plus you get to taste some amazing wines). 1. Start with an open mind There are no hard fast rules to food and wine pairing. We drink wine to enjoy it, not because we are following a manual so when pairing foods with your wine you are allowed to be daring. Sometimes you will get it horribly wrong, but then you probably have some great food and some great wine, so in the end you are still winning, even if they don’t pair as well as they should. 2. Think about the food your are pairing AND the wine as a whole and not just the taste I know I know, I also thought it was all about the taste, but it seems there is more too it than that. Of course the flavour is a huge component in a pairing but also the way the food and the wine is made, taking into account weight, structure and bouquet. For example a delicate appetizer would pair with a delicately structured wine rather than the fuller bodied “robust” vintages. With regards to taste, remember that opposites attract as well as similarities attract. A sweet does not always have to be with a sweet, so have some fun and mix it up. The racey acidity of sparkling wine and the rich texture of a meat pate is an example of a contrasting pairing. The proteins and fats in cheese can soften the perception of tannins in wine, making a wine seem less bitter and more fruity. Take the wine, have a good sniff and take a sip. Think about what you taste, not what the bottle told you, you should taste. Now try the food, think about it in the same way. Try break down the flavors a little (see tastes below and embellish on these if possible). Notice if you recognize any of the same flavors that you thought about in the wine. Now try the wine again, has the addition of the food flavors in your mouth changed anything about the wine? (Hopefully for the better if not, try a new wine). 4. Know your 5 basic tastes: Knowing the 5 different tastes can really help you to identify hat you are getting from the wines, these are of course the BASIC tastes and there are many more subtleties that we can add to it, but i am not a lecturer so you can discover those on your own.I will not go as far as to tell you what goes with what because that’s the fun of it isn’t it? How do you put your newly learnt skills to test? Join us on a tour – especially our Winelands Luxury tour and use these skills when tasting some great combinations lovingly paired by the resident wine makers.